One of Asurion’s Core Values is “We are One Team”. We apply this principle to our work, but it bleeds into everything we do. When it comes to volunteering, we’ve learned that we can achieve more together and that when we combine our efforts for the greater good everyone benefits. Our employees are extremely generous and give their own time to a number of causes and charities they are passionate about. One organization Asurion supports corporately is Teach for America (TFA). 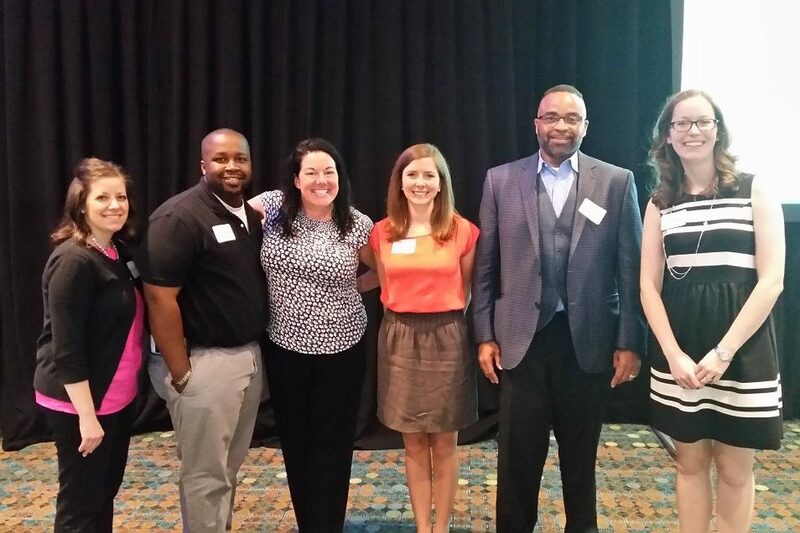 Through the Compassion Forward in the Classroom program, we connect Asurion employees to TFA classrooms in Middle Tennessee. Employee volunteers spend about 1 hour per month in the classroom tutoring students one-on-one in reading and math. Last year, Asurion was honored with the Mary Catherine Strobel Corporate Volunteer of the Year from Hands on Nashville for our employees’ outstanding commitment to the community. This year we were proud to return as an Anniversary Sponsor for the awards program. We are also featured in two videos sharing our experience volunteering and explaining why volunteerism is important at Asurion. Check out the videos below to hear from two Asurion employees on why corporate volunteerism is important to them.